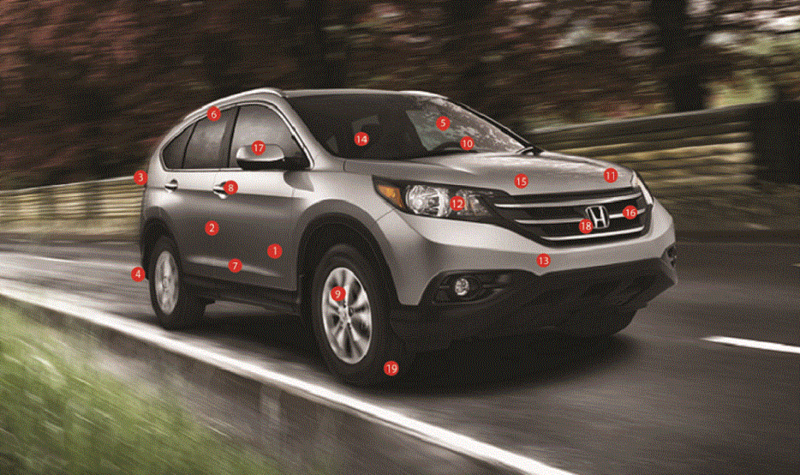 Items such as simple stains, chips, dents and dings, although part of normal perils of driving a vehicle in Canada, are your responsibility come lease-end without the added security of Honda Lease-Guard. Without this protection you can end up paying for costly repairs, or risk losing a portion of your security deposit to pay for these damages. The added protection of Honda Lease-Guard allows you to fully enjoy the exhilarating driving experience of your new vehicle. For more information, please contact our Financial Services Department at 519.623.5991.